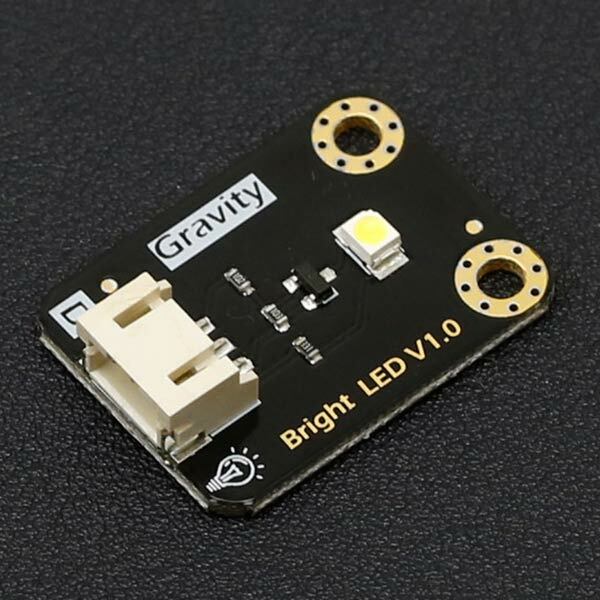 The Bright LED module is designed for some special application. It's using a very bright LED component as its light source. 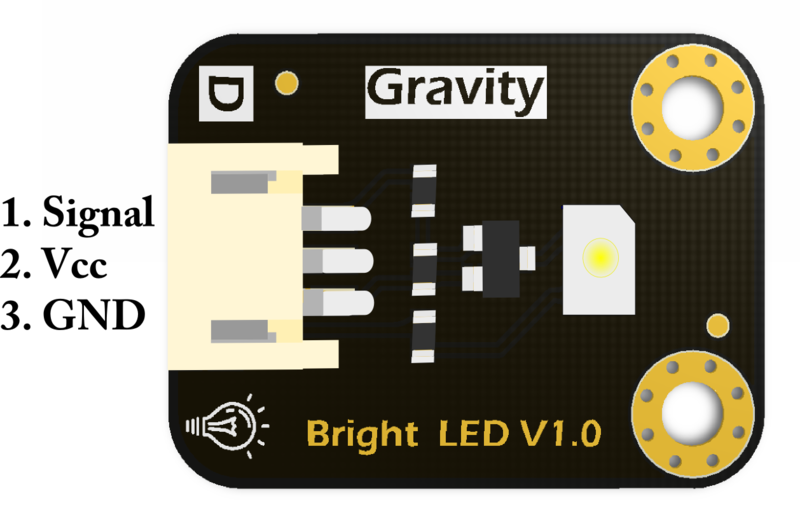 Compatible with DFRobot gravity 3-Pin interface, plug and play. What you need is just a digital signal, you can drive it directly. Besides, the LED is so bright that do not look directly at the light.